Saw this picture at Akiba Hobby blog taken during the 49th All Japan Plastic Model Show. 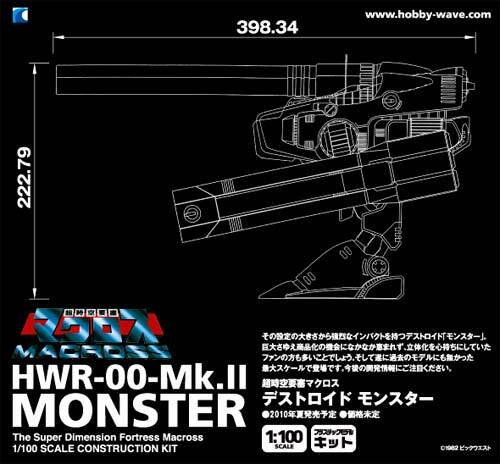 For a while there I thought that this was a 1/60 HWR-00 Monster Mk II alongside some 1/60 scale Tomahawks from Yamato Toys. Turns out however that its from Wave Corporation and its in 1/100 scale while the Tomahawks are in 1/72 scale. Wouldn't that be great if Yamato made a 1/60 rendition of the Mk II Monster? Must cost an arm and a leg however if ever that came to life. 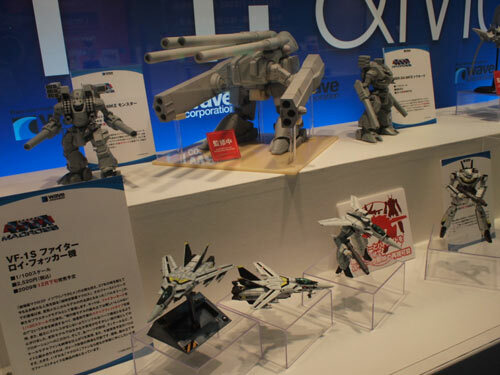 Both the Tomahawk and Monster look huge against the 1/100 VF-1 Valkyries from Wave in the foreground shot. So it was the different depth from the picture's vantage point that's causing it to look much larger.